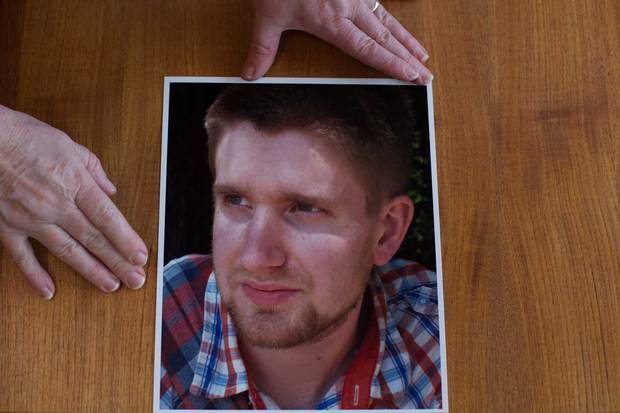 Petra Schulz found her 25-year-old son Danny Schulz after he died from a fentanyl overdose in Edmonton on April 30, 2014. It's as easy as ordering a book online: Sign up for an account, choose a method of payment, and receive the package in three to four business days. But first, there are some choices to make. The fentanyl hydrochloride comes in a variety of quantities, ranging from a half-gram sample for $35 (U.S) to a kilogram for $21,000. 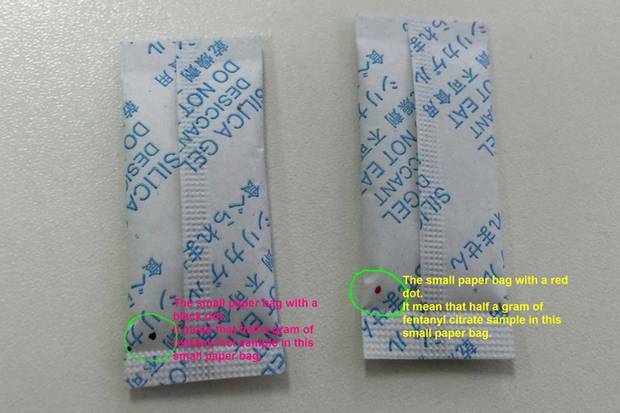 It also comes in different strengths – purchasers are warned to "be careful" and do their research on the product, described as 99-per-cent pure. And of course, there are the related pharmaceutical products: the fentanyl patches, tablets and even lollipops. The supplier, who identified himself only as Alan, says he has two customers in Canada. 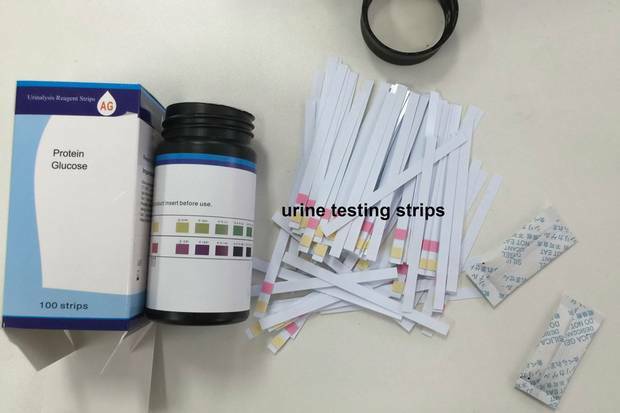 He e-mails photos of fentanyl hidden inside silica-desiccant packets – the type normally used when shipping goods such as electronics – and a screen shot of a recent order from Canada, including a shipping address for a clothing store in British Columbia's picturesque Okanagan Valley. Fentanyl is an opioid, a class of painkillers that also includes oxycodone and morphine. Prescription-grade fentanyl is up to 100 times more toxic than morphine. Developed in 1959 by a Belgian chemist, it was quickly adopted as a pain reliever and anesthetic in medical settings. It came into widespread use in the mid-1990s with the introduction of the transdermal patch that releases the drug into the patient's bloodstream over two or three days. When the drug is processed in a clandestine lab with no quality controls, it is difficult to get the dosage right, making it potentially much more dangerous. Among the investigation's findings from interviews with nearly three dozen medical experts, public-health doctors, police and family members of overdose victims: Federal and provincial rejection of harm-reduction measures hindered the response to the fentanyl crisis in Alberta. Neither Ottawa nor the provinces are taking adequate steps to stop doctors from indiscriminately prescribing highly addictive opioids to treat chronic pain – in 2015 alone, doctors wrote enough prescriptions for one in every two Canadians. And addiction-treatment programs are few and far between – a legacy of the former Conservative government's tough-on-crime policies. The investigation also found that online suppliers are exploiting gaps at the border. Fentanyl and many chemically similar drugs are classified as controlled substances in Canada, making them illegal to import without a licence or permit. But, for online suppliers, the borders may as well not exist; they devise clever ways to conceal the drugs and skirt inspection rules. Suppliers often ship drugs in packages under the 30-gram threshold, ensuring border agents won't open them. One supplier with whom a Globe reporter corresponded promised to ship fentanyl inside a gift-wrapped package. Another pledged, "No problem of police coming to you," as the package would be labelled household detergent, complete with a certificate of analysis. Many suppliers will even offer guaranteed reshipment to customers in the event their package gets intercepted. The arrival of illicit fentanyl in Canada is a "game changer," says Benedikt Fischer, a senior scientist at Toronto's Centre for Addiction and Mental Health. When Canada's opioid problem involved only the abuse of prescription drugs, he says, policymakers squandered an opportunity to address it. Now that many addicts are turning to a drug that is manufactured without government oversight – and in countries beyond our borders, to boot – it is nearly impossible to get a grip on the problem. "Even if we wanted to now suddenly take action, there's nothing we can do," he says. 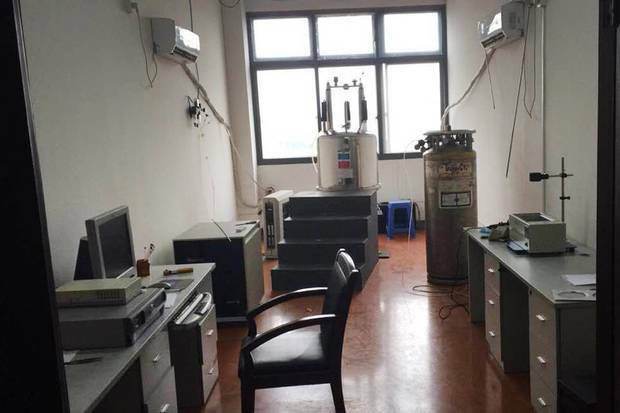 "We have no way of controlling thousands of illegal drug labs in China." The case was uncharted territory for Canadian law enforcement – three investigators became ill after kicking in the door of the illicit lab and handling the toxic drug, including one who spent a night in hospital. The police drug lab, to which hundreds of kilograms of drug-making substances were hauled, was placed under quarantine. The fire department's hazardous-material unit had to decontaminate the drugs before they could be examined. "All of these products were in residential neighbourhoods, next to people living their lives," Det. Rousseau testified in court proceedings, after Mr. Provencher's 2013 arrest, as he told an astonished judge about the turn of events. "This was very dangerous to public security." About a year after police were tipped off about Mr. Provencher, a 40-year-old computer engineer trained at Montreal's École Polytechnique, a second source confirmed the information – and added more: Mr. Provencher had recruited Jason Berry, a 33-year-old who had just served time for producing and selling drugs, as his business partner. 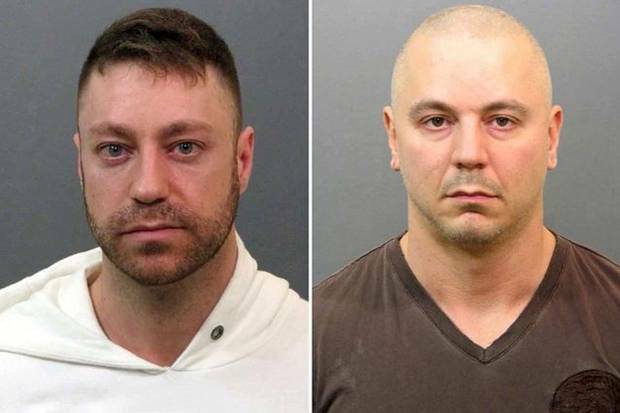 The two men had set up a lab in a garage in the hardscrabble Pointe-Saint-Charles neighbourhood, rented several storage units, and were running the business out of the downtown gym where Mr. Provencher worked. "The quality of the pills was unbelievable and the quantity was unheard of," Det. Rousseau said. The raid of the Montreal lab in April, 2013, shows how fentanyl has revolutionized the illegal drug trade. Unlike the massive infrastructure and cartels required to manufacture and transport heroin or cocaine, just about anyone can buy and sell fentanyl. Because it is so powerful, a little goes a long way. A kilogram ordered over the Internet – an amount equal in weight to a medium-sized cantaloupe – sells on the street in Calgary for $20-million, making it a drug dealer's dream. The collective inaction of government leaders, doctors, police and border officials leaves Canada dealing with the fallout from a drug that wouldn't even be on the streets were it not for a decision made two decades ago. Until the mid-1990s, opioids were primarily prescribed to cancer patients and others suffering debilitating pain. But in 1996, Health Canada approved OxyContin, a brand-name version of oxycodone, to relieve moderate-to-severe pain, heralding a sea change in the treatment of pain. 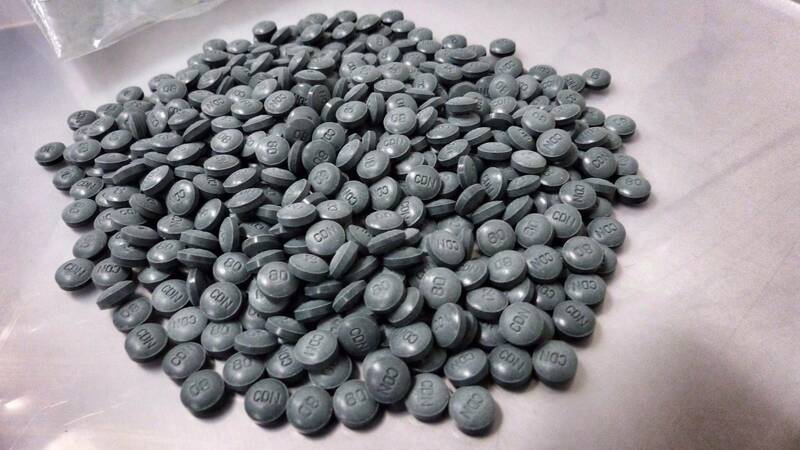 The Office of the Chief Coroner of Ontario raised concerns, noting in a 2004 report that deaths linked to oxycodone climbed steadily between 1999 and 2003, according to documents obtained by The Globe through an access-to-information request. 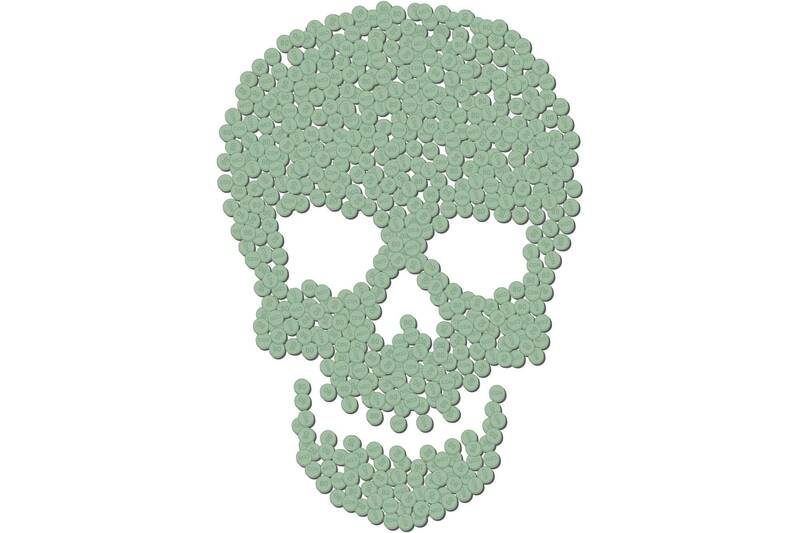 The report says that although no attempt was made to determine whether the detected oxycodone was due to "the ingestion of OxyContin or any other oxycodone-containing formulation, it is noteworthy that the increase in the prevalence of oxycodone findings in death investigations coincides with the introduction of Oxycontin [sic] to the Canadian market." The removal of OxyContin left a void that organized crime exploited, says Sgt. Luc Chicoine, the RCMP's National Drug Program Co-ordinator. Responding to an e-mail from The Globe, Purdue spokeswoman Aimee Sulliman said that the increase in fentanyl-related deaths across Canada is "tragic and a significant public-health concern," but that it is unfair to blame OxyContin for the rise of the illicit drug. "This is a complex issue and the simplistic causality assertion of the question is misleading." Demand for a replacement for OxyContin also gave rise to another problem – a counterfeit version of the drug laced with illicit fentanyl smuggled into Canada and processed for street sale in labs. The labs would typically dye their pills green to mimic the 80-milligram OxyContin pills favoured by opioid abusers, and sell them as "greenies" or "shady eighties." In comparison to Europeans, North Americans rely heavily on pharmacological solutions to medical woes. In a culture whose citizens pop over-the-counter pills to treat every minor ailment, says Sgt. Darin Sheppard, of the RCMP's Federal Serious and Organized Crime Synthetic Drug Operations, many drug users view the "greenies" as deceptively harmless. "It's just a pill to many people," Sgt. Sheppard says. "Now, we're starting to realize the true aspect of what harm can be realized as a result of this." 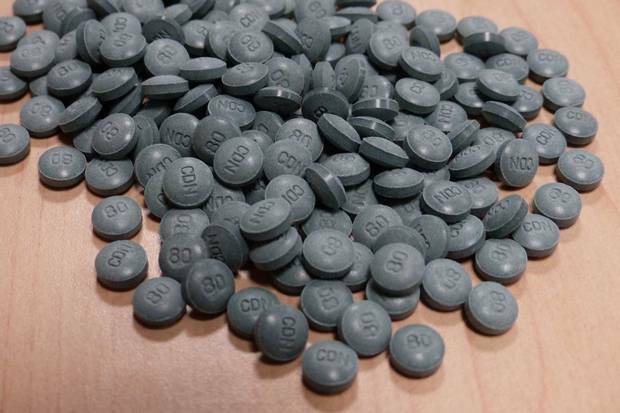 As long as fentanyl continues to arrive in Canada undetected, municipal police cannot arrest themselves out of the problem, says Calgary Police Staff Sgt. Martin Schiavetta. He wants to know how serious the federal government is about fentanyl. "Are they aware of the scope of the problem?" he asks. "What strategies does the RCMP have to deal with these Chinese imports? Does CBSA have enough capacity to deal with all the packages?" The problem is compounded by the fact that the illicit drug is highly profitable for traffickers. Hakique Virani, an Edmonton physician and former deputy medical officer at Health Canada, described the "whack-tastic" profits for traffickers during a conference last November for the Canadian Society of Addiction Medicine. The raw materials and equipment, including a kilogram of pure fentanyl powder and an industrial-grade pill press, cost under $100,000, he said in his presentation. A kilo of powder is enough to produce one million tablets, which sell for $20 each in Calgary. Police chiefs in Alberta asked the federal government last November to make it illegal to import and operate industrial pill presses, but have had no response. Any mention of harm reduction was banished from Health Canada's website in 2007, when the federal department changed the name of its National Drug Strategy to the National Anti-Drug Strategy. The Conservatives quietly spread the word that not-for-profit groups would have difficulty getting federal funding if they continued to provide harm-reduction programs. Margaret Ormond, project director of Sunshine House, a harm-reduction centre in Winnipeg, says she was told that if she wanted to continue receiving funding from Ottawa, she should not "go on and on about harm reduction" in her application. Sunshine House stopped seeking federal funding six years ago. 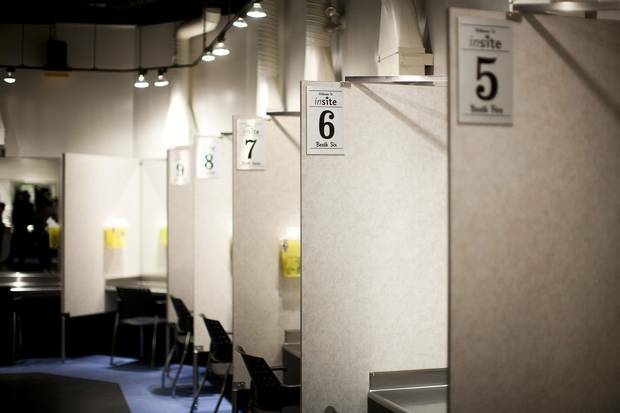 Stephen Harper's Conservatives also attempted to shut down Insite, North America's only supervised-injection site, in Vancouver's impoverished Downtown Eastside, which allows addicts to safely inject illegal drugs under a nurse's supervision. The Conservatives eventually lost that battle at the Supreme Court of Canada, which in 2011 ordered the government to allow Insite to remain open. The government responded to the ruling by introducing legislation making it difficult, if not impossible, for other sites to open, even though Insite has demonstrated that it has reduced overdose deaths. "Under the previous government, Health Canada did virtually nothing of consequence to address this epidemic," says David Juurlink, head of clinical pharmacology and toxicology at Sunnybrook Health Sciences Centre in Toronto. "In some ways, their actions have made it worse." Health Canada did not reply to The Globe's request for comment on how opioids are managed. In a statement, the spokesman for Alberta's health minister said that the province is actively looking for ways to improve physician education and prescription monitoring, but could not provide specifics on when any results are expected. In an interview, federal Health Minister Jane Philpott says she is committed to addressing the problem and to making sure people struggling with opioid abuse have access to harm-reduction programs. "I have talked to families who have lost loved ones, whose lives could have been saved if they had either the opportunity to access a supervised-injection site or if the family had known about the availability of naloxone," Ms. Philpott says, referring to an antidote that reverses the symptoms of an overdose in minutes. "Nothing is more heartbreaking than hearing the stories of these families." Dr. Patel sets her own limits with her patients, often refusing to prescribe painkillers, because the risks are substantial and the benefits uncertain. But saying no is difficult, she says, because patients are often in distress. "People expect a pill to fix their problems." During those early days of the crisis, both federal and provincial health officials were slow to grasp the enormity of the problem, The Globe investigation found. The Alberta government did not issue a province-wide warning to doctors about illicit fentanyl until December, 2014. And it was not until a year later that Alberta's health minister allowed all first responders across the province to treat overdose victims with naloxone. 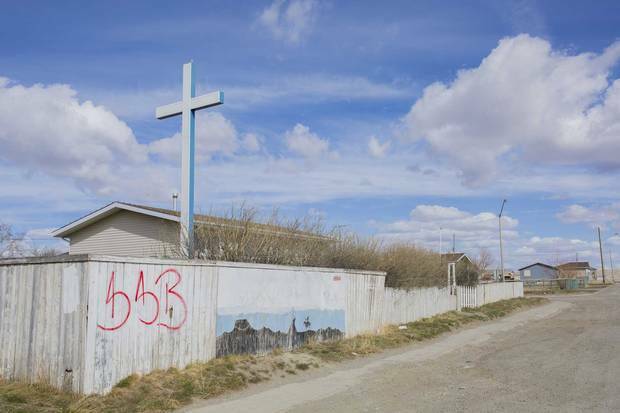 The southwestern community of Stand Off, on the Blood Tribe reserve (also known as Kainai Nation), has endured a disproportionate number of Alberta's deaths. Dr. Esther Tailfeathers, a family physician from Blood Tribe, responded to her first fentanyl overdose in July, 2014. She had just pulled her car into the parking lot of a shopping centre in Lethbridge when she saw a man in a white minivan slumped over the steering wheel. Only minutes earlier he had taken a pill. In the back seat, four children were crying for help as he lost consciousness. "We've never seen anything like this," she says. 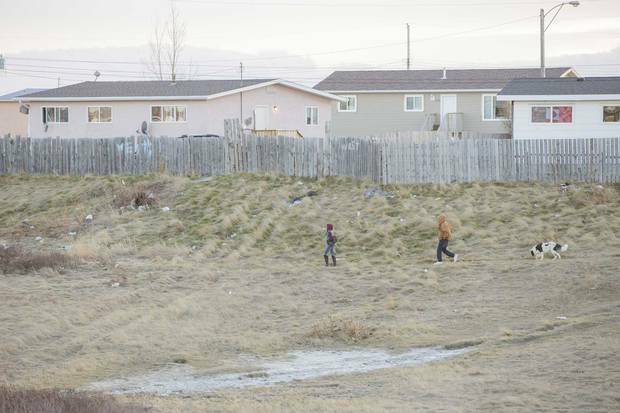 Patients soon began sharing stories about illicit pills circulating in the streets of their sprawling reserve near the Montana border. Drug dealers from Calgary and the small First Nations community of Maskwacis travelled there with backpacks full of fentanyl, selling each pill for $80. One girl collapsed at a party after snorting fentanyl, Dr. Tailfeathers says. "We put a tube in her nose, and while she and I were talking I pulled the tube out. There was a green pill stuck in the end." By August of 2014, reports of mounting deaths in Blood Tribe began arriving in the Edmonton office of Dr. James Talbot, the province's chief medical officer at the time. Dr. Talbot quickly set up a working group and invited Dr. Michael Trew, then the province's chief addictions and mental health officer, to join. The Blood Tribe ended up reaching out to Dr. Virani, who was then still a deputy medical officer at Health Canada, for its first batch of naloxone kits. Dr. Virani remembers his employees going to discount stores to buy the plastic containers that would hold the first 90 doses of the antidote. "At the time that I sent naloxone to Blood Tribe, Health Canada made every effort not to talk publicly about it," he says. Meanwhile, crime rates began to soar in Blood Tribe. The community was already struggling with poverty, income inequality and substance abuse. Addicts were breaking into homes looking for valuables. People sold everything they owned to buy another pill, says Dr. Tailfeathers, with some nursing a habit that cost as much as $300 a day. She visited homes where there was no food, no heat and no blankets. The four walls of one house were covered with writings about suicide. "It's like a natural disaster on the reserve," she says. A fence is tagged with “SSB” - South Side Bloods along a street in Standoff nicknamed Oxy-Alley. Crime rates in the small community increased as fentanyl use spread. In March of 2015, the local band council declared a state of emergency, making it the first community in the country to sound the alarm because of fentanyl. Despite that, Dr. Virani says that Health Canada told him to stop speaking publicly about First Nations health in Alberta. He resigned from the department last month. While he declined to comment about his departure, he accused the bureaucracy of being slow to respond to the fentanyl crisis and being out of step with the minister, Dr. Philpott. "I think she's a public-health champion on this," he says. In the final months of the former Conservative government's time in power, the health minister mobilized the first resources to combat fentanyl. Shortly before the government was defeated last May, Alberta sent a notice to hospitals and clinics warning about the risks associated with illicit fentanyl and recommending naloxone to reverse the effects of an overdose. The end-of-government decision may explain what happened next. During the first chaotic week of New Democratic rule in Alberta, both Dr. Trew and Dr. Talbot were told by senior members of the civil service that they were being let go when their contracts expired. A new chief medical officer has yet to replace Dr. Talbot. The strain was clear on Staff Sgt. Schiavetta's face during an interview in February. He took over Calgary Police's drug unit in early 2015, just as fentanyl use began to skyrocket in the city – 81 people in Calgary died from fentanyl overdoses last year, including residents of all genders, ages and socioeconomic groups. Complicating matters, his officers seized three pills last August that were later identified as W-18, an experimental drug 100 times more potent than fentanyl. But fentanyl remains the drug that takes up most of Staff Sgt. Schiavetta's time. "Calgary is flooded with fentanyl," he says. While Alberta has borne the brunt of the fallout from the arrival of bootleg fentanyl from China, no one saw it coming, Dr. Trew says. "It hit us between the eyes." 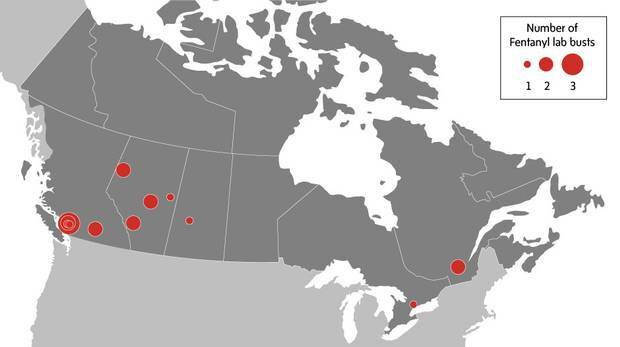 The scourge of illicit fentanyl is now rapidly expanding east. Deaths linked to fentanyl more than doubled to 29 in Manitoba last year, according to a Globe tally of provincial coroners' figures. In Ontario, fentanyl was the leading cause of opioid deaths for the first time in 2014 – the most recent figures available – and several communities (including Toronto, Kingston and the Niagara region) have been hit with a spike in fatal overdoses in recent weeks. For most potential buyers, fentanyl manufacturers appear to exist in plain view, openly advertising the drugs they make. On the Chinese Internet – where no trace of them can be found – and on the ground, it's a different story altogether. Chinese officials have taken steps to crack down on the illicit drug business. Last October, the country banned 116 substances, including a half-dozen types of fentanyl. Hu Minglang, a director of China's National Narcotics Control Commission, told The Globe the ban has been "very effective." But the ban appears only to have succeeded in placing chemicals slightly under the radar. Dharma Chemicals, a supplier named by the World Health Organization as a seller of acetylfentanyl, one of the 116 illegal chemicals, has struck the drug from its catalogue. But in response to e-mailed queries from a Globe reporter, a Dharma representative promised quick delivery of the drug, writing, "stock is available." China remains in some ways the ideal country to produce synthetic drugs, something no rules are likely to change. As the world's biggest trading nation, China already sends huge volumes of goods to countries such as Canada, providing "numerous ways to disguise your drugs," says John Coyne, a former Australian Federal Police intelligence agent who is now head of border security at the Australian Strategic Policy Institute. It's a problem the Mexican government has combatted for years. 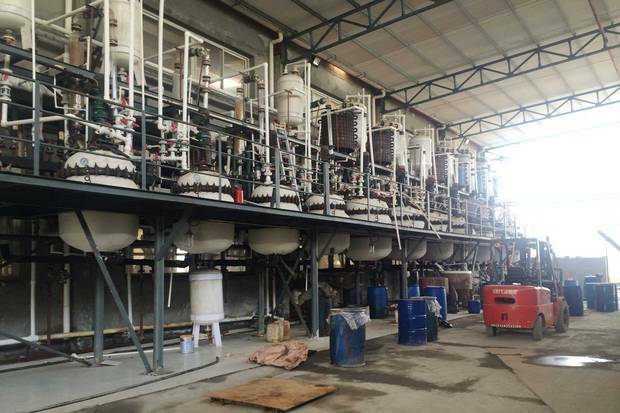 Mexican drug cartels have long imported chemical ingredients from China, which fuel the Latin American country's manufacture of meth and finance its crime syndicates. "China was never willing to help. They didn't see it as their problem," says Jorge Guajardo, the Mexican ambassador to China from 2007 to 2013. As long as Chinese officials do not crack down more aggressively on exporters, medical experts say, the responsibility for change falls squarely on those in power at the end of the supply chain. "It's a national tragedy," says Meldon Kahan, medical director of the Substance Use Service at Women's College Hospital in Toronto, "and a health-care tragedy where most groups don't come out looking very good." It's also a tragedy that often plays out in private. Many people living with substance abuse suffer in silence, all too aware that society tends to blame the victim and view opioid dependence as a character flaw. Michael Franklyn, an addiction doctor in Sudbury whose practice spans urban and rural communities throughout Northern Ontario, says that nearly one-third of the patients he treats for opioid addiction were initially prescribed the drug by their physician. But people who become addicted are often stigmatized by society, he says, even though no one ever makes a conscious decision to go down that path. "It's not a population people get excited about treating," he says. "It's our private feelings or thoughts and we don't need anybody else knowing," the mother says. "I don't want anybody to think bad of him. He was a great guy." Their son never missed a day of work, so his father was surprised one Monday morning when he didn't wake up. When he went into his son's bedroom, he found him with no apparent vital signs. His laptop was open – the last message posted by a friend just before three in the morning, upset that he had not responded to her. Their son had not been prescribed painkillers; he got addicted after using opioids recreationally. He was private, and determined to cope with the problem on his own. By all outward appearances, he seemed to be doing just fine. He graduated from high school, took a two-year welding course at community college, and had a full-time job at a steel company. He was social with lots of friends. His hobby was tinkering with the engine of his Oldsmobile coupe. "When we buried him," his father says, fighting back tears. "He still had grease under his fingernails." Some parents have gone public in a conscious effort to combat the stigmatization. 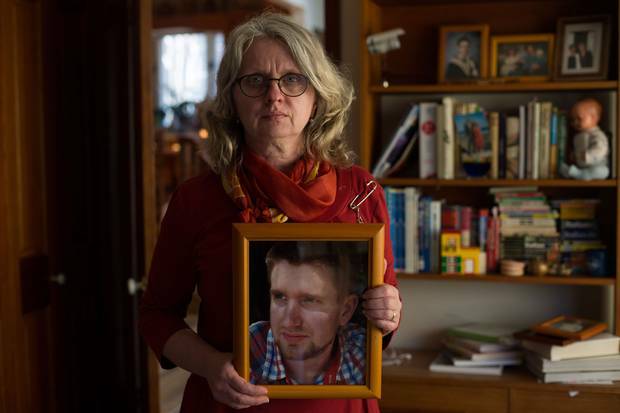 Petra Schulz, a lecturer at Edmonton's MacEwan University, has blogged and spoken about her son's death from a fentanyl overdose, which occurred on April 30, 2014. Ms. Schulz tried to call her son that day, but he didn't pick up the phone. While the 25-year-old had used drugs in the past, he seemed to be clean, and had returned from a long trip with his father only two days earlier. That evening, she went to his downtown apartment in Alberta's capital and let herself in. A tinny radio was playing the CBC news, a newspaper was scattered on the table, and an unopened beer was nearby. Just as she was about to leave the apartment, she noticed a light under the bathroom door. She found Danny's body behind it, on the floor. "When you have a child who struggles with addiction, you have that fear that one day they will overdose," Ms. Schulz says. "And then I saw that light, and I didn't hear any sound from the other side of the door." 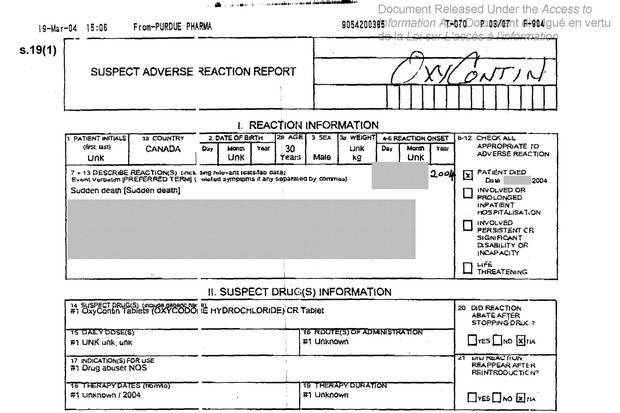 Editor's Note: An earlier version of this story incorrectly stated that a fentanyl lab was busted in the Northwest Territories. This version has been corrected.